Are we stopping in your city? I am so excited to announce that Myla and I will again be going on tour again this August on our biggest musical journey yet! 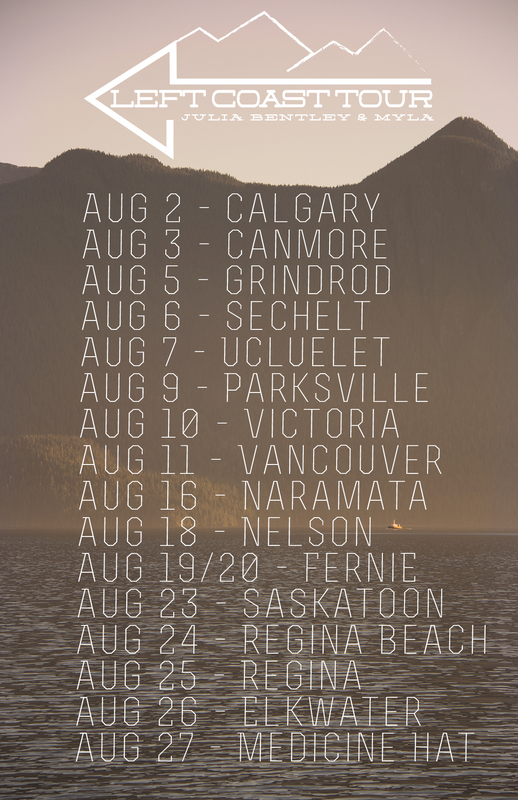 Can’t wait to play our tunes from the Prairies to the Coast on this summer’s “Left Coast Tour” – August 2nd-27th! Check to see if your city’s on the list!